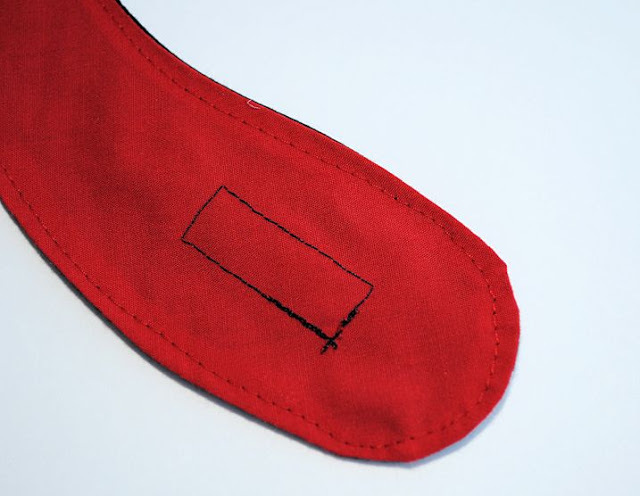 Did you know that I used to own an online business sewing things and selling them? That was back before the blogging days. 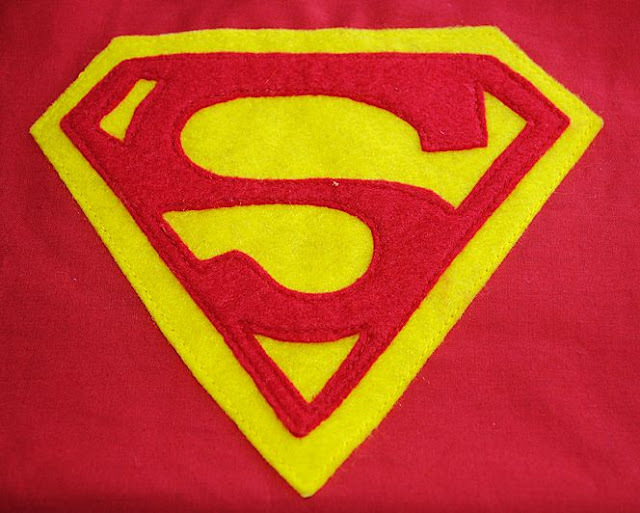 For years I made personalized kids superhero capes similar to these and sold them and boy were they a hot ticket! You wouldn’t believe the demand for them. In fact, I sold so many that I actually had to hire a manufacturer to make the cape part for me and then I added the initial. So what I’m saying is that they are a huge hit with kids! 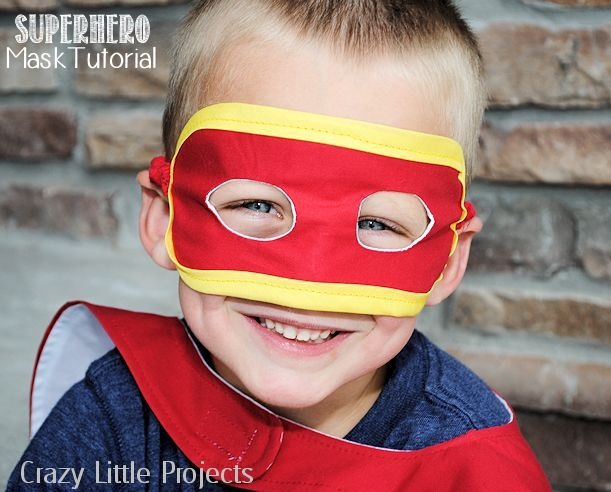 Here’s an easy to follow superhero cape pattern so that you can make a superhero cape for kids yourself! 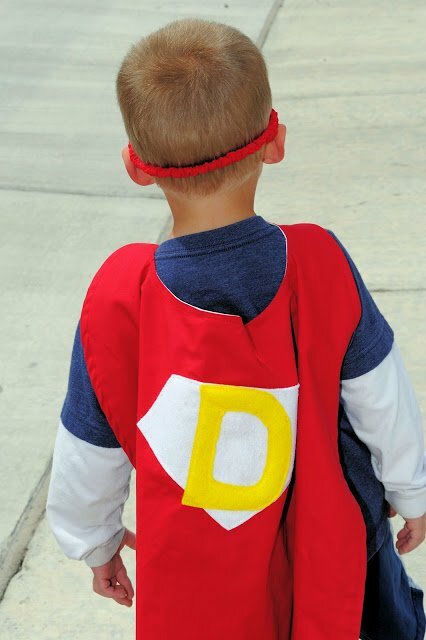 And add to the superhero cape pattern a coordinating mask and you’ve REALLY got your own little superhero! 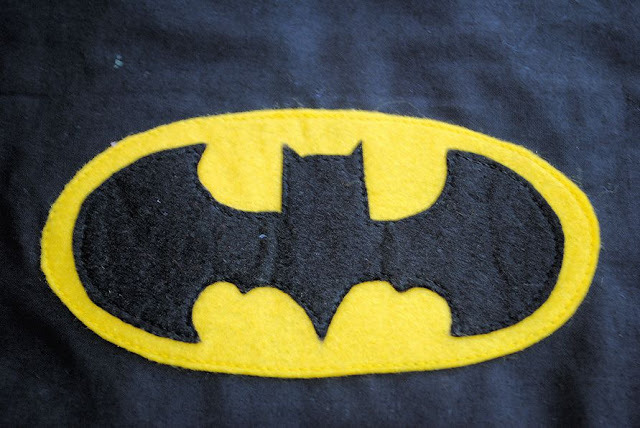 Get the superhero mask pattern here. 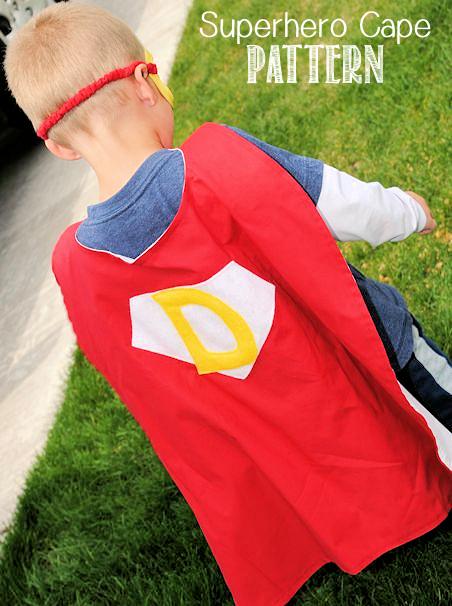 Are you ready to learn how to sew this cute superhero cape pattern? 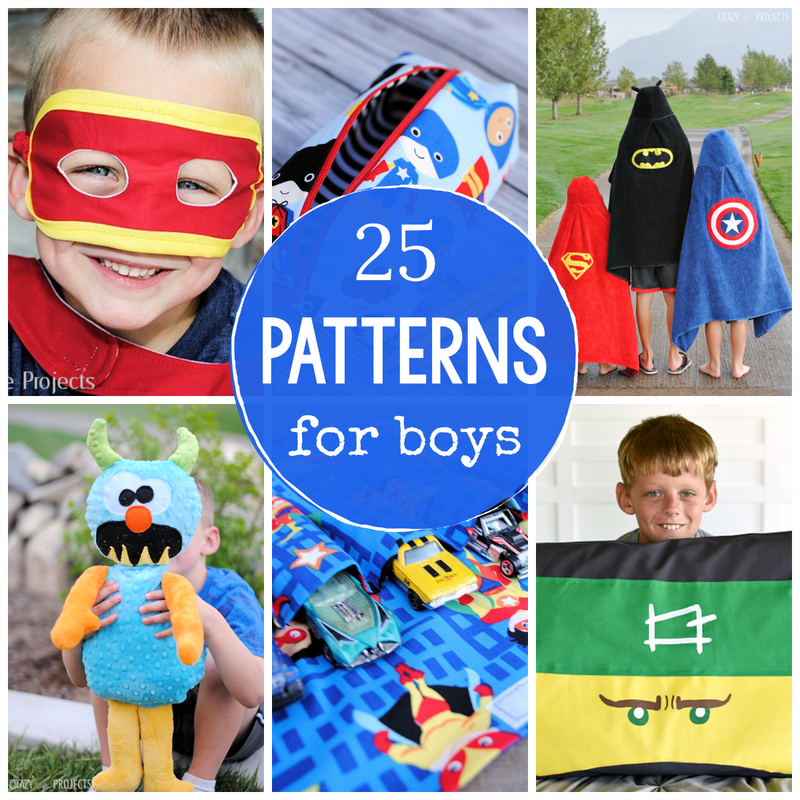 These are great because you can make them in ANY color combination, for boys or girl, and with any superhero logo on them. The best though, is when they are personalized for the kid. I let my 4-year-old pick out the colors he wanted for his superhero cape and mask. He picked red, yellow and white. 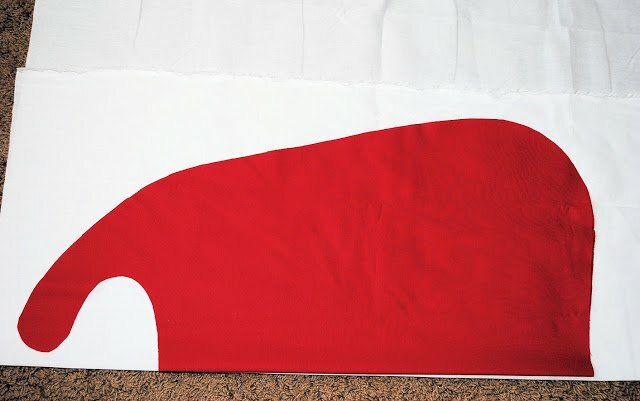 To start out, measure the child you are making the cape for from the back of the neck to wherever you want the cape to hang to. To give you an idea, this cape for my four year old measures 20″ from the base of the neck to the bottom of the cape (with an additional 5″ or so for the neck part). So mine is 20″ from the base of the neck to the bottom of the cape and is 24″ wide across the bottom and 20″ wide across the top with those neck pieces extending about 6″ above the case of the neck part. Make it look something like this. Trust me, your kiddo doesn’t really care how perfect the shape is, so just do what you think looks good. Cut 2 pieces-one in each color of fabric. 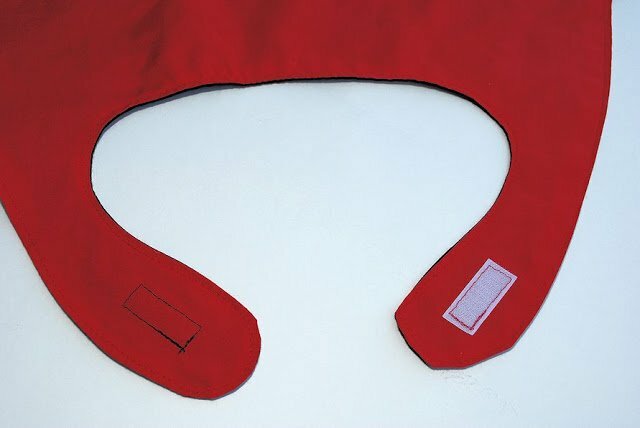 Pin those in place where you want them on the cape, a few inches down from the base of the neck on your main color fabric. 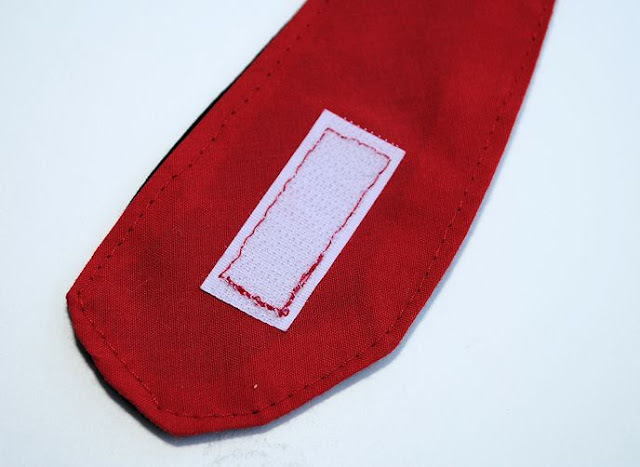 Using coordinating thread, sew around all of the edges of the logo very close to the edges but without going off. Now, with right sides of the cape together, sew around the whole thing, leaving an opening to turn it at the base of the neck. Turn it, push out all the edges and then press it flat. Top stitch around the whole thing making sure to sew that opening in the neck closed. And that’s it! You are done with your cape pattern! Except now you need to make a matching mask to go with it. 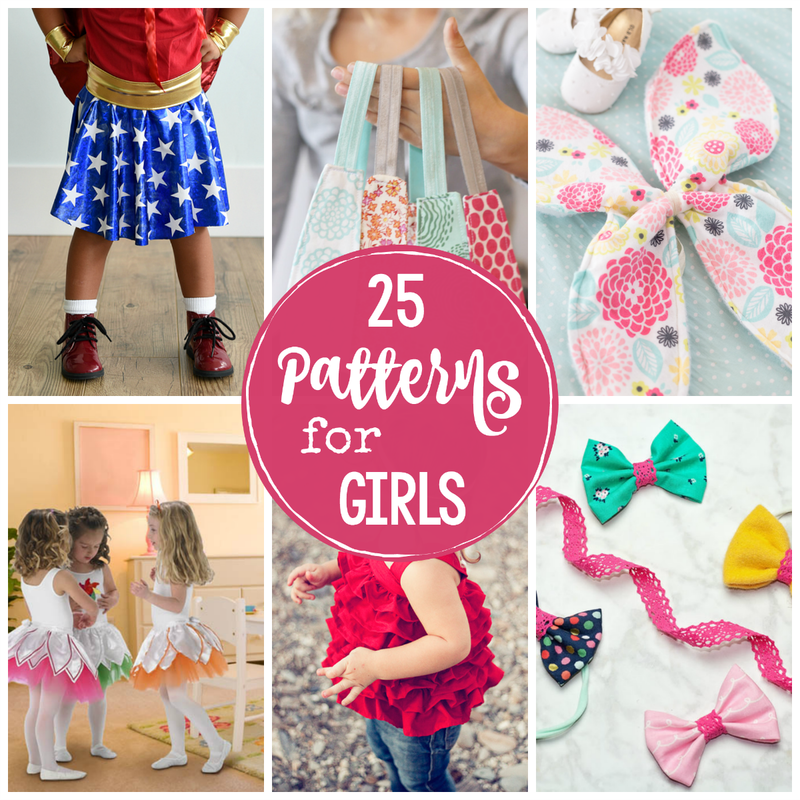 I hope you love this kids cape pattern! This is the cutest thing!! My son would love it! Great tutorial! Thanks for sharing at the Pomp Party! Pinning to our Pomp Party board! Thanks so much for this super cute idea. My brother and I had fun capes that we wore all the time when we were little. I was excited about these and made some up today, yellow and blue for my son and pink and zebra for my baby girl. They both LOVE them and these were super quick to make! What if you just got some photo transfer paper and used that? I have done that on T-shirts before and it was great! Do you have instructions for the mask? I’m going to have to buy my fabric online (without seeing it first). I’m a novice at this.. can you tell me what kind of fabric you used? 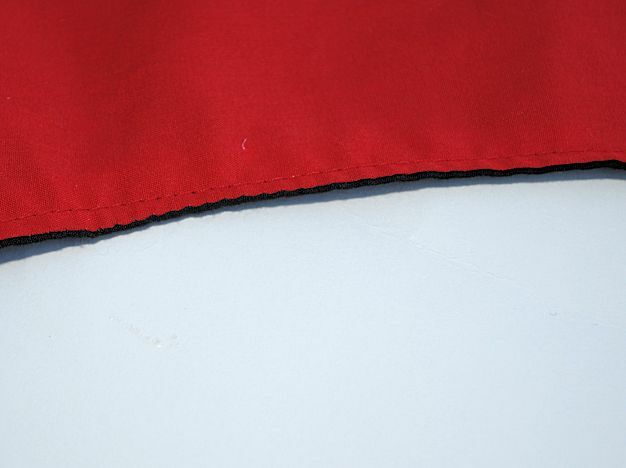 Just 100% cotton broadcloth? I cannot find anyone who specifies, in their tutorial, just what kind of fabric they are using. Please help! Hey cuz! I was trying to make a cape and low and behold you site popped up!!! Thanks for being so crafty! That is so awesome! I love hearing that sort of thing!!! Yay! I love this! Thank you so much for the free pattern. My daughter chose “super monkey princess” for her 3rd birthday theme, and with only her two little friends coming to play, making this for the three of them sounds like a do-able way to make for hours of super-hero pretending fun! I’m a complete novice so silly question probably but is it best to sew this by hand or machine? Love this! I plan to make one for each of my 3 grandsons for Christmas. One question……is the whole thing made of felt ? It’s hard to tell by the photo. And you did mention felt in the instructions. No, it’s made of cotton. Thanks for sharing. Saves me making my own pattern. I know two little ones who’d love one each for Christmas. I watch so many tutorials of how to make a child super hero cape. I made one for my nephew but its made of cloth and now it’s wreck and hard to repair. But this idea for using a cotton for making a mask and a logo for a cape it make me more challenging to built one of this. Thank you very much for sharing.